3 Month/3,000 Miles Limited Warranty on select vehicles! This vehicle was hand-picked and inspected prior to being placed on our dealership lot. You can rest assured that this is a quality vehicle! Please call or email us for the free vehicle history report and more details about this specific vehicle. 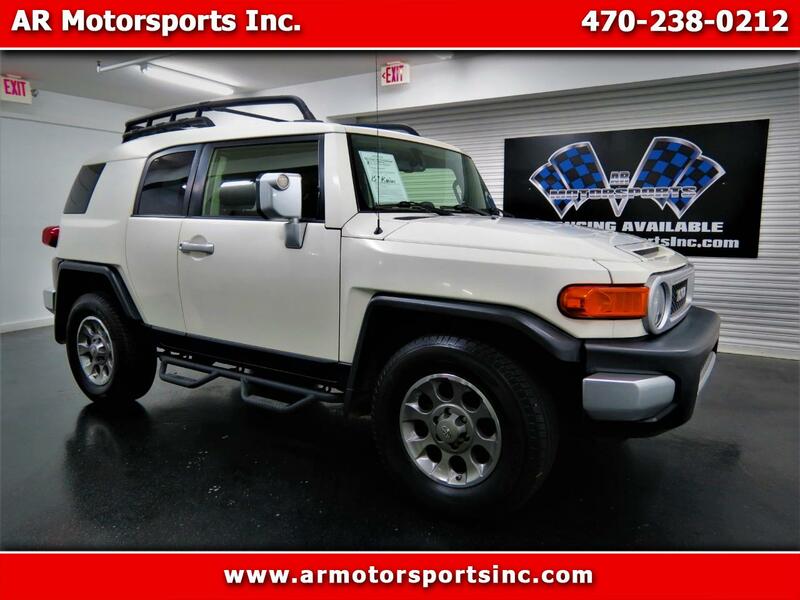 Message: Thought you might be interested in this 2013 Toyota FJ Cruiser. 3 Month/3,000 Miles Limited Warranty on select vehicles! Inquire about eligibility and details. Thank You for viewing our inventory! Price excludes tax, tag and titling fees. While we make our best effort to post exact information, we are not responsible for any error on our pricing, trim listings or omissions. Please call us at 470-238-0212 to verify pricing and exact information or for any questions.